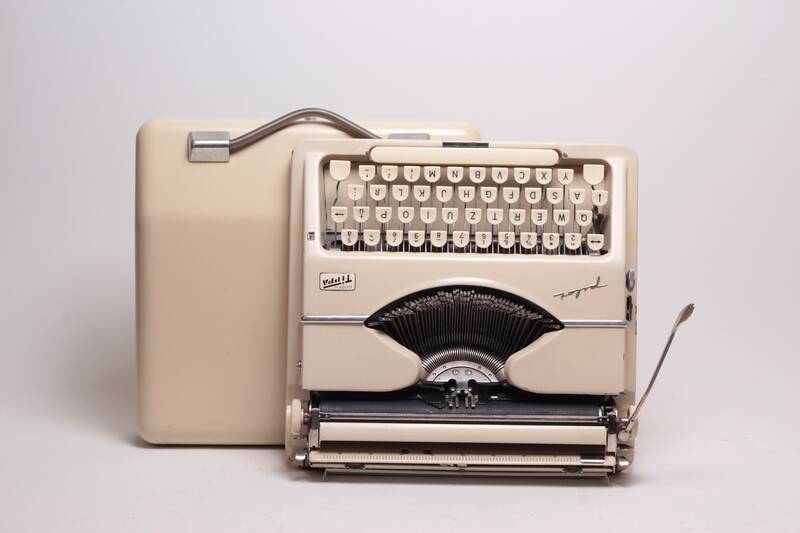 Made in Western Germany between 1956-1959. 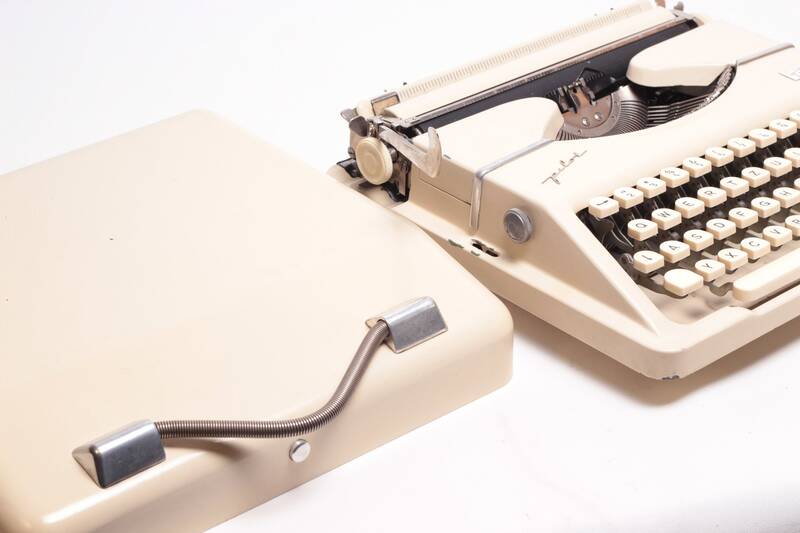 This typewriter is a real 1950s beauty- ultra slim and portable (less than 5kg and 7cm high in a case) in beautiful white droid colour. 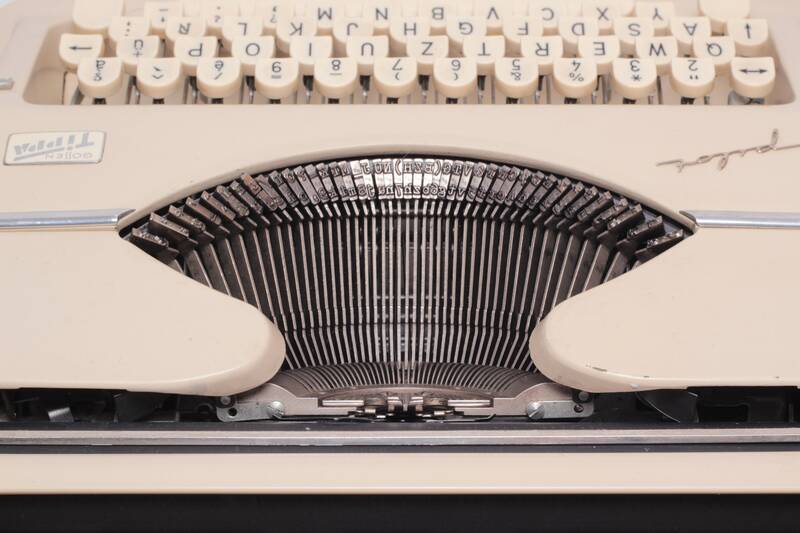 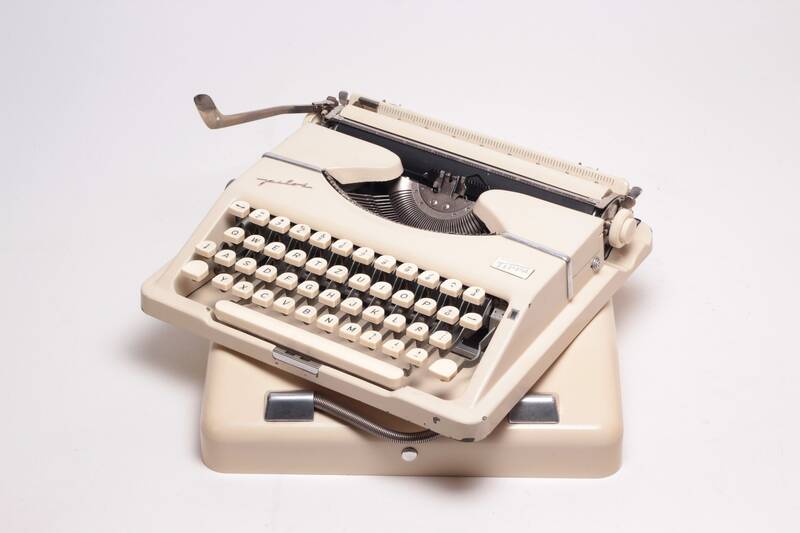 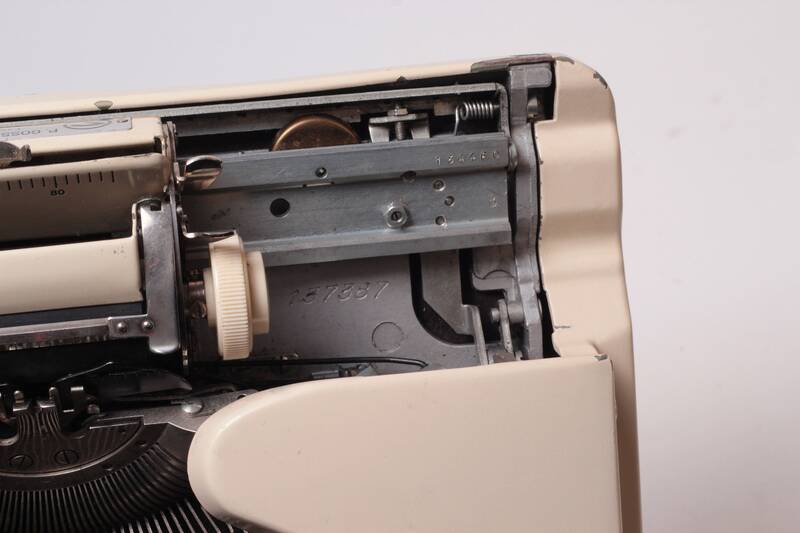 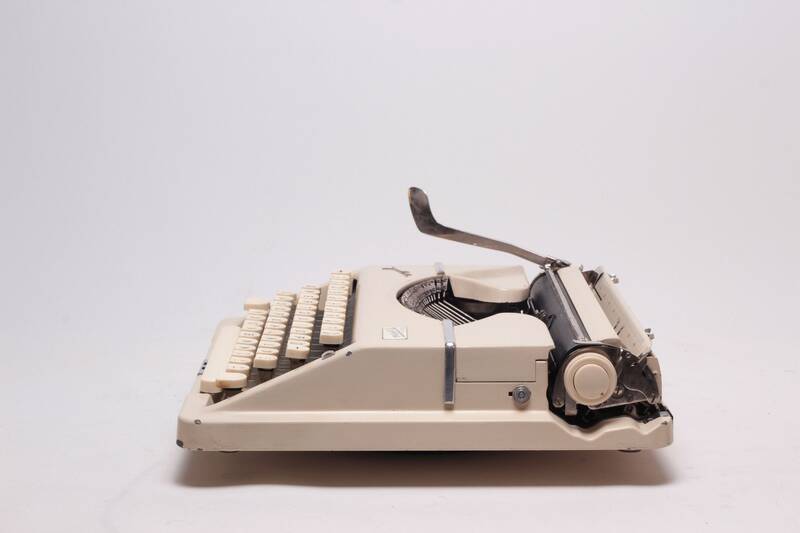 All of our typewriters are serviced by an experienced former Olivetti technician :) Thoroughly cleaned, oiled, refurbished, waxed and polished where needed, full working condition, new ribbon installed, ready to use! 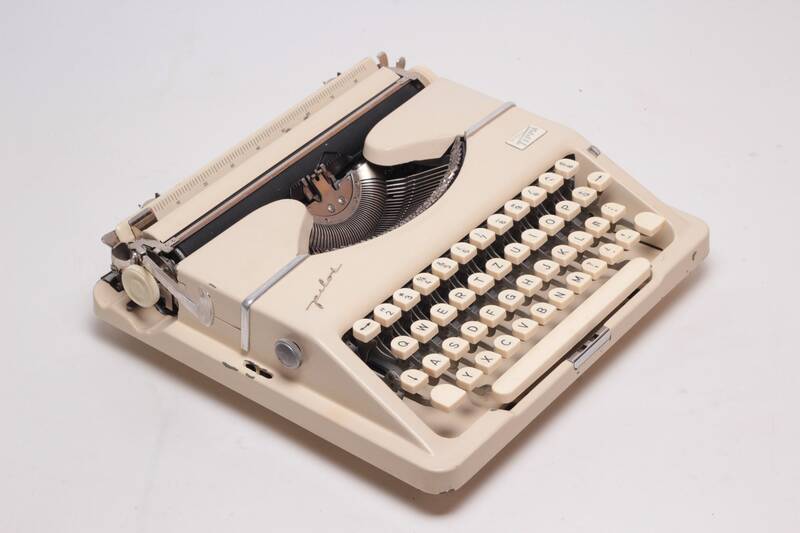 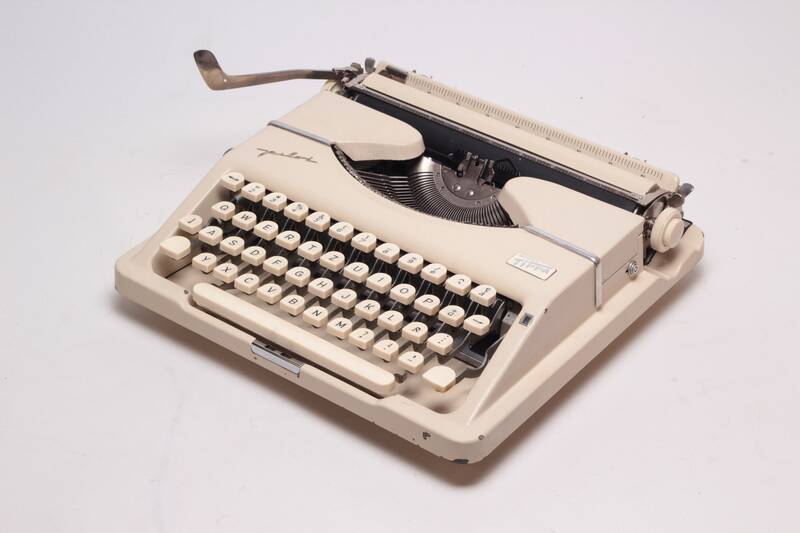 Very good vintage condition, with imperfections due to the vintage character of the typewriter. 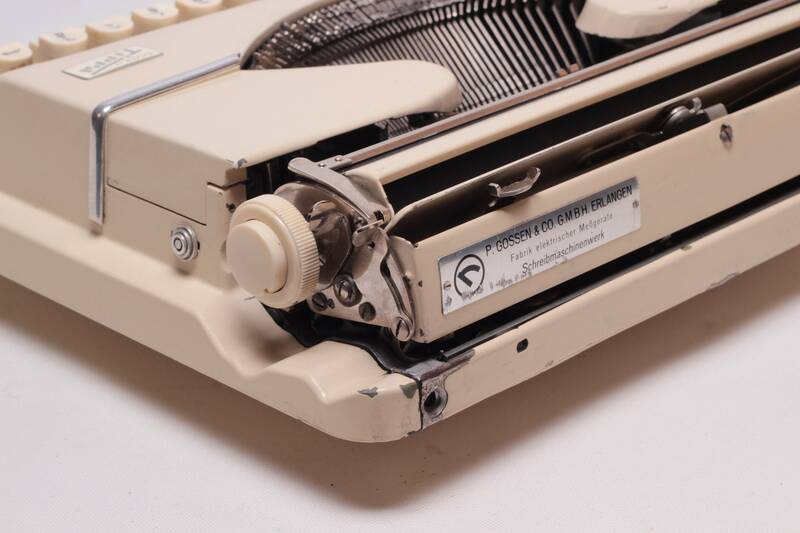 There are a few scratches on the sides and under the carriage return lever. 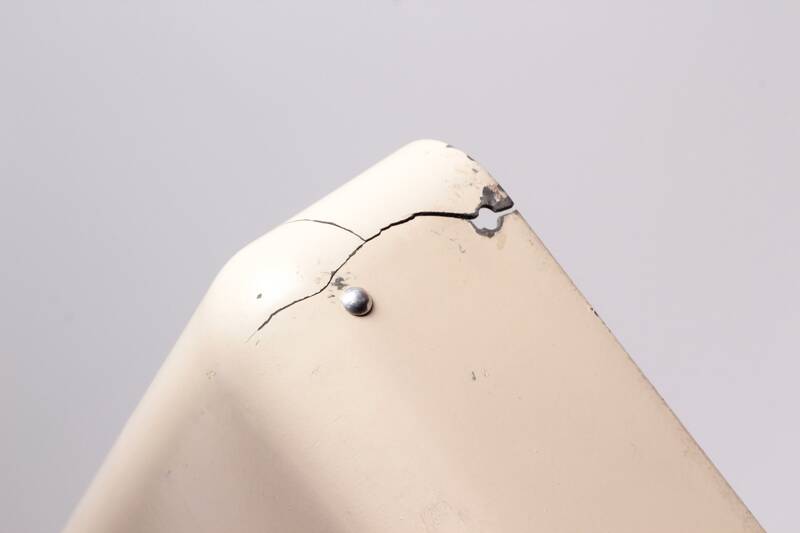 Also the original metal carrying case has got some cracks due to the usage and age (additional photos available on request).